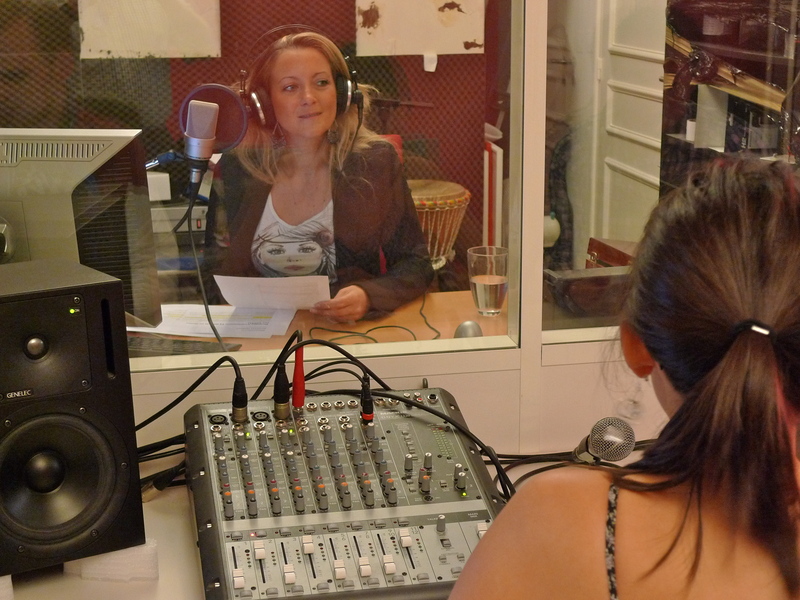 MY SOUND PRACTICE here in Paris is centred around recording the contemporary sound tapestry of the city – the sounds Parisians hear as they go about their daily lives but seldom stop to listen to. I’m particularly interested in how the Parisian sound tapestry changes over time and, over the years, I’ve recorded Parisian sounds that no longer exist, sounds that are on the verge of extinction as well as some completely new sounds that have appeared across the city. Developments in public transport are a prime source for capturing the changing urban soundscape. While the French economy may be lacklustre at the moment France continues to invest heavily in public transport and this investment not only changes the visual landscape, it also changes the sound landscape. In Paris over recent years we’ve seen old rolling stock retired and new trains introduced on the Paris Métro system, new stations have opened as part of the programme to extend the Métro network into the suburbs and we’ve seen a significant expansion of the tramway network around the periphery of the city and out into the suburbs. The considerable investment being poured into public transport is designed to improve and extend the transportation system not only for the convenience and comfort of existing passengers but also to make the system more attractive for new passengers. It is hoped that the continuing improvements to the public transport system will encourage more car users to convert to public transport and thus reduce the vehicular emissions that often smother the city. Although the investment in the Métro and tram network is to be welcomed, 1.1 billion people still use Parisian buses each year and the 4,500 buses in circulation are a worrying source of polluting emissions. It’s the sound of a diesel engine Paris bus waiting at traffic lights. It’s an iconic Parisian sound, but it’s a sound that is now on the verge of extinction. Bus 2025 is the plan by RATP (Régie Autonome des Transports Parisiens), the state-owned authority responsible for most of the public transport in Paris and the surrounding Île-de-France region, to eliminate diesel engine buses completely and roll out a new fleet of electric and biogas buses in Paris and the Ile-de-France region, thus meeting the target set out in the Île-de-France urban transport plan to reduce greenhouse gas emissions and energy consumption per passenger/km by 20% by 2025. RATP are not only investing in new electric and biogas buses (80% electric and 20% biogas by 2025) but also in new infrastructure at the bus depots to handle the new technology. The change from diesel to the new electric and biogas buses cannot be made overnight so there is a transitional phase, which has already begun with the purchase and deployment of some hybrid buses. This will allow RATP to test the new technology in operating conditions and to plan the infrastructure changes required. Since April this year, a fleet of hybrid Urbanway Citybuses purchased from Iveco, one of several suppliers selected by RATP for the transitional phase, have been plying the 82 bus route that passes by the end of my little street so I’ve had the opportunity to experience what these buses are like. At first glance the hybrid buses look little different from the former diesel engine buses, save for the white bulge protruding from the top of the bus and the new upholstery in the interior. But ‘under the hood’ the difference is dramatic. The traction drive on the hybrid bus uses a downsized fuel-effective Euro VI engine with Hi-eSCR exhaust gas after-treatment technology, coupled with an electric-generator engine. When the bus is decelerating and reaches a speed of 20 km/h, the bus engine cuts out, the batteries take over and the electric-generator kicks in. The energy accumulated during deceleration is recovered and stored in new generation lithium-ion batteries; this energy is then restored during acceleration. When the bus accelerates and reaches a speed of 20 km/h, the engine takes over. The elimination of a gearbox results in a smoother drive and jolt-free acceleration. The Urbanway Citybus has an ‘Arrive & Go’ function, which ensures 100% electric silent arrivals and departures at bus stops, with no pollution or vibrations thus benefiting passengers, the driver and those outside the bus. Iveco claim that this hybrid technology decreases CO2 emissions and fuel consumption by between 25 and 35%. Using 30% less fuel is equivalent to a reduction of over 25 tonnes of greenhouse gas emissions per vehicle per year, which represents more than twice the weight of the vehicle. Iveco’s claim of reduced CO2 emissions and fuel consumption for the hybrid bus is impressive but as a professional listener to Paris I was even more impressed with the dramatic reduction in noise pollution. The reduction in CO2 emissions and fuel consumption is something we can read about but the reduction in the noise emissions is something we can experience at first hand simply by standing beside or by boarding one of these buses. I hope RATP will carry out some objective measurements of the reduction in the noise level and then broadcast the results alongside the reduction in CO2 emissions and fuel consumption – it’s something worth making a lot of noise about! Returning from a recording assignment the other day, I recorded a 40-minute journey on the hybrid bus along the 82 bus route from the Jardin du Luxembourg to the bus stop at the end of my little street; a journey from the heart of the Latin Quarter to the west of Paris taking in the Hôtel des Invalides, the École Militaire, the Champs de Mars, the Tour Eiffel and the Palais des Congrès. Sitting on the bus listening to the engine was impressive since the engine is quieter than the usual diesel engine on a Parisian bus. But listening to the complete absence of engine noise when the bus stopped at a junction, or at traffic lights, or at a bus stop was a strange experience. From time to time I found fellow passengers looking quizzically as though the bus had perhaps broken down. As a passenger, it’s sometimes difficult to distinguish between the sound of the downsized engine and the electric-generator so I can’t say for certain, but my impression was that the engine on this bus was used for perhaps less than half the journey. I can though say for certain that for most of the journey the sounds of the traffic outside the bus were louder than the sounds on the inside. An interesting additional sound added to this bus comes from a loudspeaker inside the bus positioned over the front door. On Paris buses passengers enter by the door at the front and leave by the doors in the centre, so when the front door on this bus opens, a voice announces the direction in which the bus is travelling – in this case, “Neuilly – Hôpital American”, that being the last stop on the route. It’s a small, but useful addition since it wouldn’t be the first time I’ve got on an unfamiliar bus and set off in the wrong direction! Given the importance that RATP attach to the sound architecture of the public transport system, it goes without saying that all the announcements on this bus are made by a real human voice rather than a computerised voice. Even if you don’t managed to navigate the whole of this recording, I’m sure you will still get a sense of quiet where quiet is not usually found. And it’s certainly worth comparing the sounds of this journey with the sounds of the full-blown diesel engine bus waiting at the traffic lights earlier in this post. As a professional listener to Paris and an archivist of the city’s contemporary soundscape I found the sounds of the Iveco hybrid bus plying the 82 bus route not only interesting but also valuable. The sounds are a vision of the future but they are also transitory sounds – they weren’t here yesterday and they won’t be here tomorrow. They represent a specific moment in the history of the city. 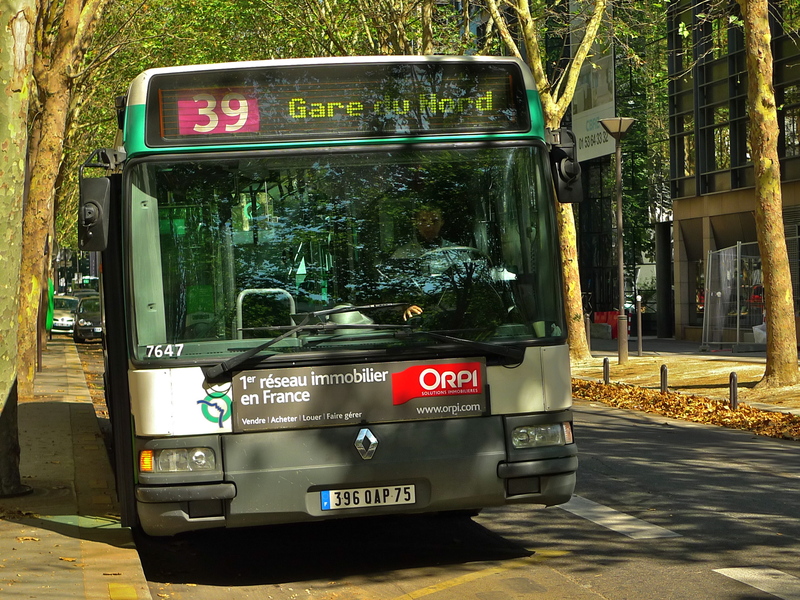 Once the diesel engine buses are eliminated and the all-electric and biogas buses become common currency, the hybrid buses and their sounds will disappear from the Parisian soundscape forever – but they will live on in my Paris Soundscapes Archive. Although the hybrid buses represent a transitional phase, an all-electric bus route has already begun operating in Paris. The 341 bus route from Place Charles-de-Gaulle to Porte de Clignancourt saw the first all-electric bus begin operating in May this year. In all, 20 all-electric buses will operate this route. The buses have a range of 180 km and the batteries are recharged at night to avoid overloading the electrical supply system. And finally, in case you think the significant reduction, and sometimes the absence, of noise in an all-electric or a hybrid bus makes for a soulless journey, be reassured. Riding over the intermittent stretches of Parisian pavé remains the same bone-shattering experience that it’s always been! The sharp-eyed reader will notice that I left the Jardin du Luxembourg on an 82 bus numbered ‘6005’ but the picture of my arrival at home shows an 82 bus numbered ‘6002’. Well spotted! The explanation is that I did complete the journey on ‘6005’ but it moved off before I could take a picture of it after I alighted. So to capture the shot I waited for the next bus to come along, which was ‘6002’. AT THE BEGINNING of June I published a blog piece entitled “The Voice of the 39 Bus” in which I described the recording of the bus stop announcements for the 39 bus route in Paris. I also introduced Andréa, the voice of the 39 bus. 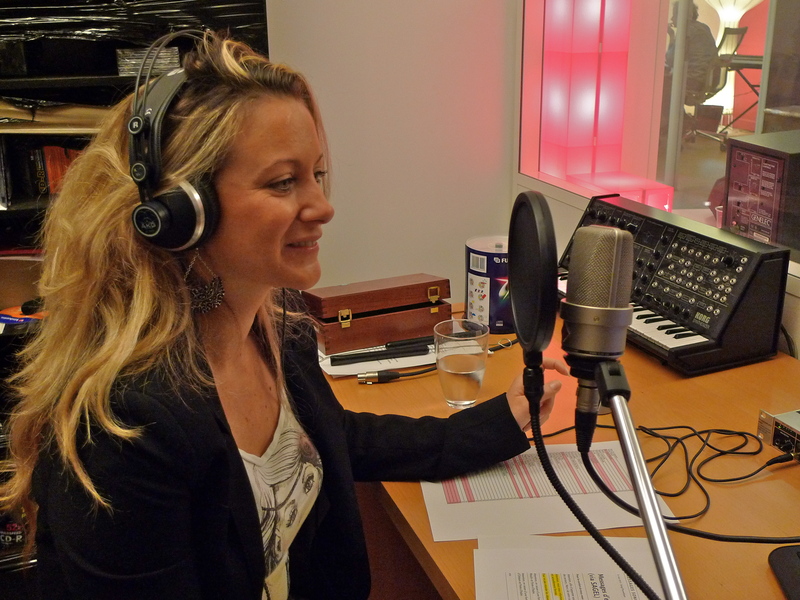 I had been given exclusive access to attend the recording session held at the studios of Sixième Son, Europe’s leading audio branding and sound identity agency. Song Phanekham, the man responsible for the sound identity of RATP (Régie Autonome des Transports Parisiens), the Paris mass transit authority, was there and he directed the recording session. All the names on the 39 bus route were recorded by Andréa by repeating them two or three times, sometimes with a slightly different inflection, so as to give Song more choice in the editing. Great care was taken to ensure exactly the correct pronunciation and inflection for each name. The 39 bus travels from the Gare du Nord in the north of Paris to Issy – Frères Voisin in the south-west. The journey takes about an hour depending on the traffic. 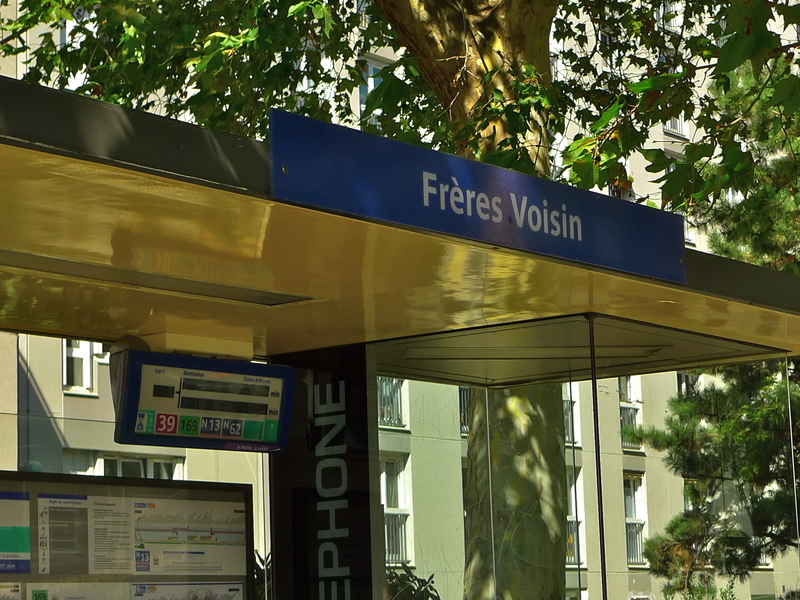 The terminus at Issy – Frères Voisin is simply an ordinary bus stop in an ordinary leafy street surrounded by tall rather plain buildings. I travelled the full length of the 39 bus route on Saturday from the Gare du Nord to Issy – Frères Vosin and back again and the good news is that I was accompanied by Andréa, or at least by her voice, which has now been installed in the 39 buses. I recorded my journey in both directions. Travelling this route is rather like travelling on a tour bus, you get a really fascinating view of this city. Here I have selected a montage of some, but by no means all, of the sounds of the journey which, for those of you who know Paris, will conjure up fascinating images … Porte Saint-Martin, Porte Saint-Denis, Poissonnière – Bonne Nouvelles, Grand Boulevards, Bibliothèque Nationale, Palais Royal – Comedie Française, Musée du Louvre, Pont du Carroussel – Quai Voltaire, Saint-Germain des Près, Sèvres – Babylon, not to mention the Hôpital des Enfants Malade, Colonel Pierre Avia and of course the not quite so glamorous, Issy – Frères Voisin. All this comes for the price of a bus ticket and the joy of having one’s bones rattled as the bus bounces over the all too frequent pavé. There are couple of things you might find of interest. 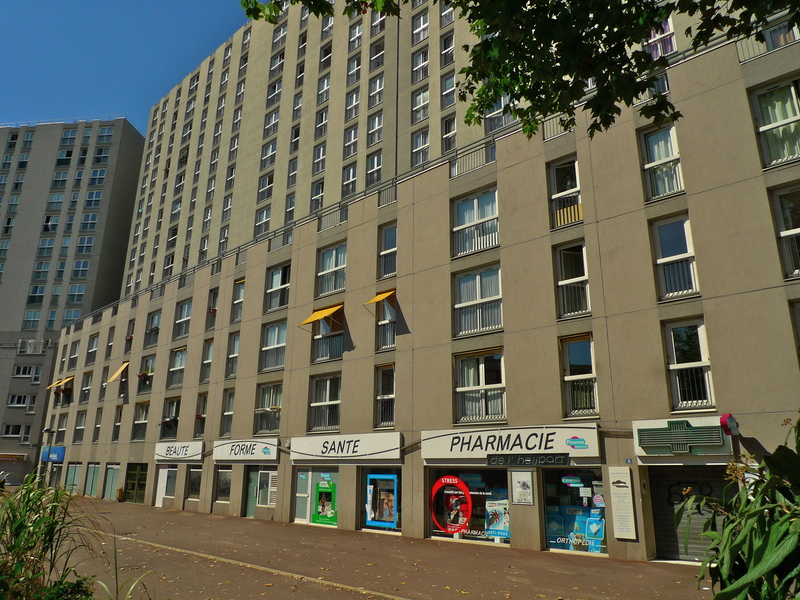 First, Paris bus stop names are derived from the names of streets or buildings in the vicinity of the bus stop so, for example, the stop for the Hôpital des Enfants Malade is right outside the hospital. Some bus stop names though comprise two names like Palais Royal – Comedie Française for example. This simply means that the bus stop is between the Palais Royal and the Comedie Française just as the stop Pont du Carroussel – Quai Voltaire is at the junction of the Pont du Carroussel and the Quai Voltaire. It’s simple really. Second, the bell often heard on a Parisian bus is not, as in some countries, a signal from a passenger to the driver to stop at the next stop but rather a signal from the driver to those outside the bus to beware. A signal best heeded!